It is essential to the success of any community garden that you involve local residents. Before setting up the garden in the waterworks Grow undertook a community consultation with local people. We spent time taking to people and raising awareness, met face to face with residents living closest to the site, discussed proposals, invited people to a ‘digging day’, kept residents up to date with developments, shared garden produce and generally fostered good relations with the local community. One of the lessons we learnt early on was to try to have a number of key contacts on nearby streets to disseminate information as it is not always possible to get round the whole neighbourhood. One of the challenges in the development of the Waterworks garden came about through the lack of information, or rather the misinterpret ring of information in relation to how the garden would run, how it would affect parking in neighbouring streets and whether we could open on Sundays. Grow was unaware that there was some disgruntled members of the community until we received a letter outlining concerns. We organised a meeting as soon as possible with local representatives where we allayed any concerns and we agreed to have local contact points to ensure a good communication flow between community gardeners and the wider community. We now invite local residents to any events, trips or celebrations we have and local residents share plants, seeds and ideas for the garden and the local area with Grow! 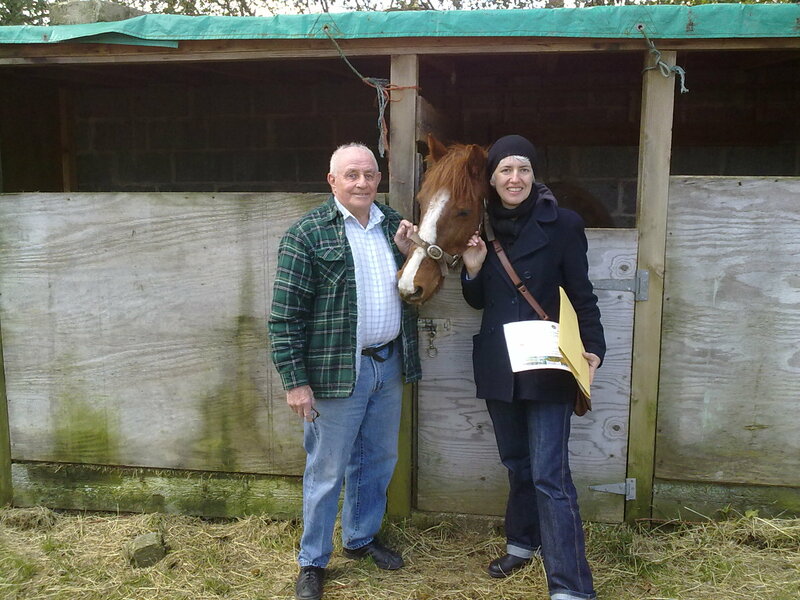 Our neighbour John at the Waterworks not only provided water for year one but who's horse 'donated' fertiliser! One of the many unexpected mutually beneficial relationships we formed with locals.